Mash all the veggies and add salt,pepper,coriander powder and garam masala. Mix well and make your desired shapes.Spread flour and bread crumbs in two different plates. Coat the nuggets on the flour and then on the bread crumbs. Heat oil and deep fry the nuggets in batches and take them on the tissue paper.Serve hot with tomato sauce. Wow...veg nuggets looks so yummy and mouthwatering. pass me that bowl please...looks delicious. I shud make this for my kid..nice recipe. Veg nuggets looks really delicious and irresistable! 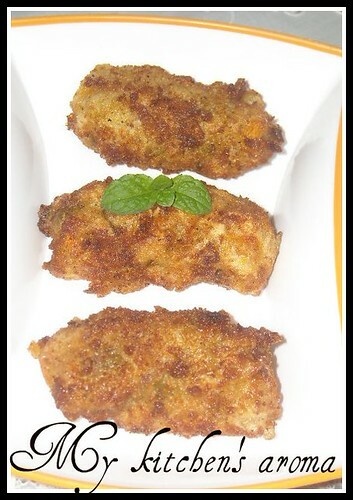 Cirpsy vegetable nuggets just makes me hungry, kids will definitely love this.. Very nice idea !!! nuggets look so crispy and yummy !! 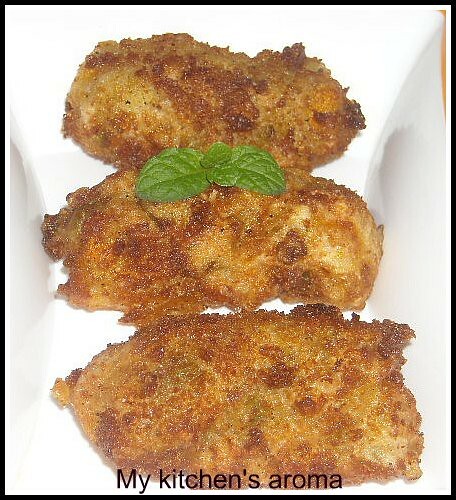 Mouthwatering..healthy and yummy veg nuggets. nicely fried and looks so delicious!! Wow wow looks so crisp nice recipe Saritha.